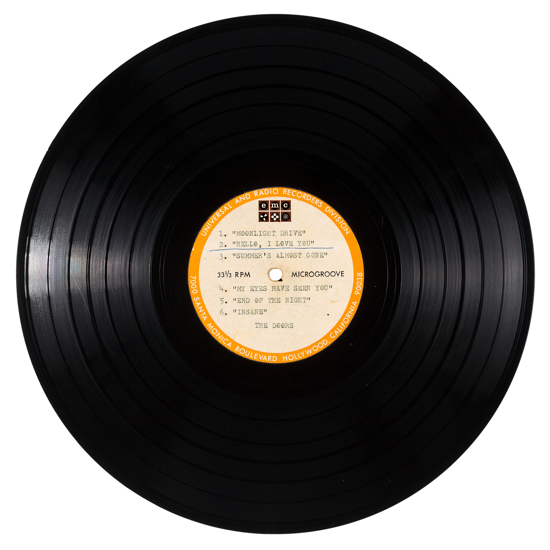 Format: One-sided acetate, 10", 33rpm. 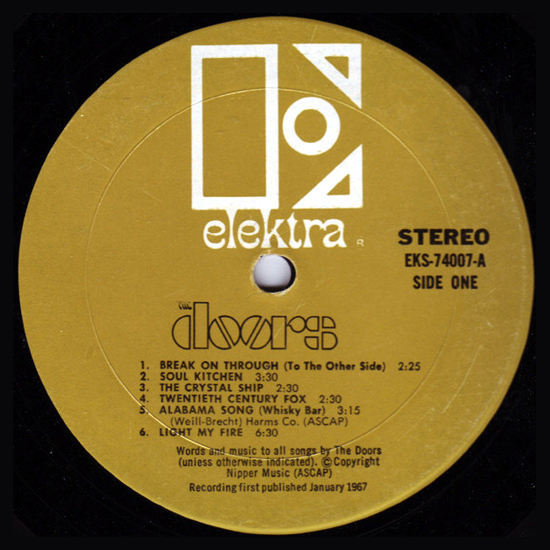 Writers: All tracks written by The Doors (Jim Morrison, Ray Manzarek, Robby Krieger, and John Densmore), except No.5 "Alabama Song (Whisky Bar)" by Bertolt Brecht and Kurt Weill, and No.7 "Back Door Man" by Willie Dixon and Chester Burnett. 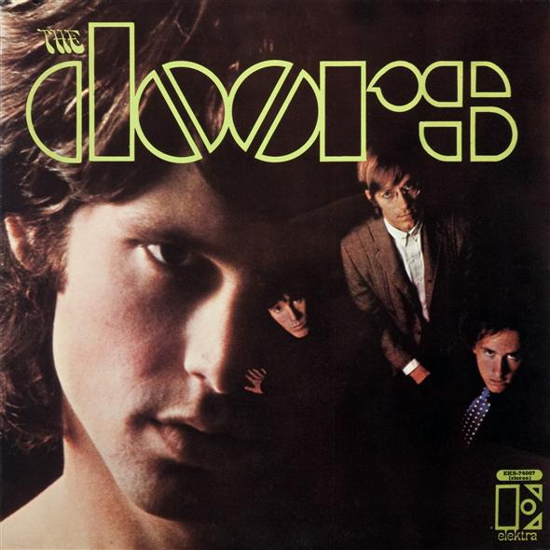 Overview: The Doors was formed in the summer of 1965. In July, two fellow graduates at the UCLA School of Theater, Film and Television, Jim Morrison and Ray Manzarek, met in Venice Beach, California, and decided to try playing together. Jim sang his "Moonlight Drive", and Ray - who played the keyboard in a band called "Rick & the Ravens" with his brothers Rick and Jim - began to accompany him. 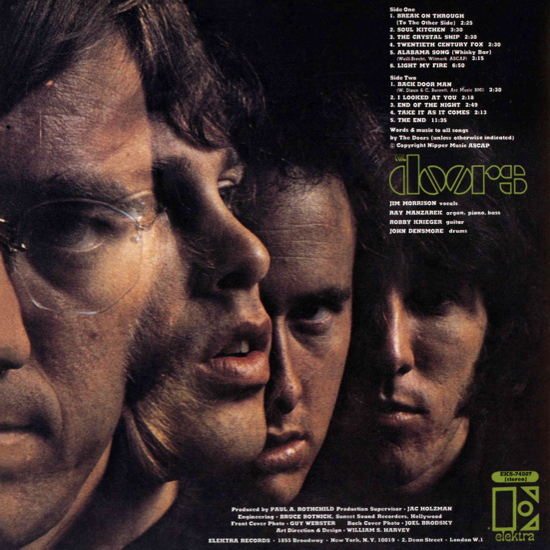 They called the band "The Doors", from the title of Aldous Huxley's book "The Doors of Perception", itself derived from a line in William Blake's "The Marriage of Heaven and Hell": «If the doors of perception were cleansed, everything would appear to man as it is: infinite». In August, Ray invited John Densmore - who was playing with the "Psychedelic Rangers" and knew Manzarek from meditation classes - to join the band as drummer. 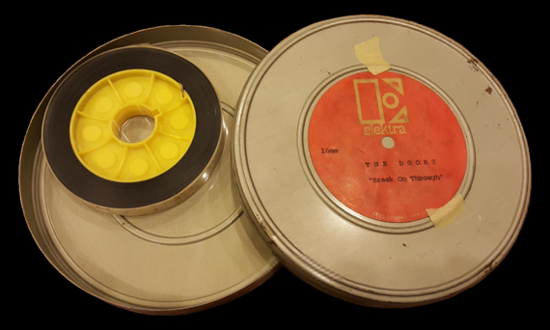 On September 2, Jim Morrison, Ray Manzarek, and John Densmore, with Ray's brothers Rick (guitar) and Jim (harmonica), and Patty Sullivan (bass guitar) from the band "Patty And The Esquires", recorded their first six-songs demo at World Pacific Studios in Los Angeles. In late September, after Manzarek's two brothers left, the group recruited another member of the "Psychedelic Rangers", guitarist Robby Krieger: the lineup – Morrison, Manzarek, Densmore and Krieger – was complete. 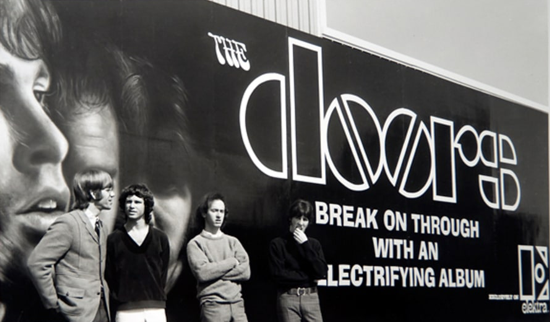 At the end of 1965, The Doors began auditioning in various small clubs, and in early 1966 the group was playing the Los Angeles club "London Fog". From May to August 1966 they graduated to the more esteemed "Whisky a Go Go", where they were the house band. On August 18, after Elektra Records president Jac Holzman and producer Paul A. Rothchild saw two sets of the band playing at the Whisky a Go Go, they signed them to the label. 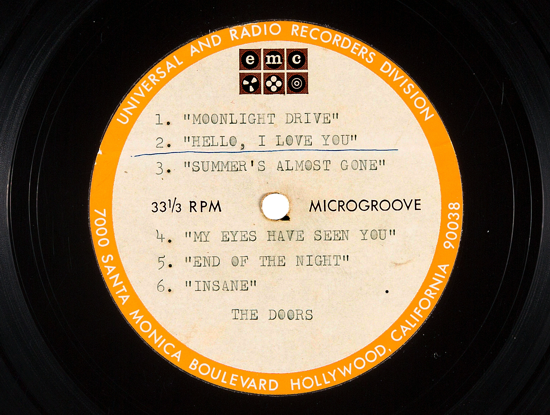 In less than one month, The Doors recorded their first album at Sunset Sound Recording Studios in Hollywood. 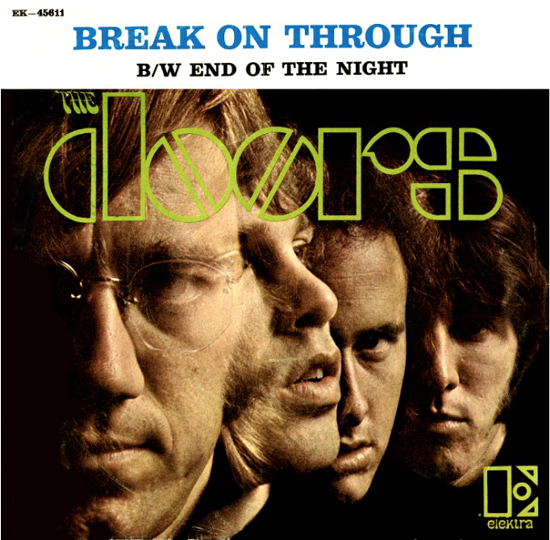 On January 1, the first single containing "Break On Through (To the Other Side)" on A-side, and "End of the Night" on B-side, was released, accompanied by a promo clip made by Elextra Records producer Mark Abramson, and their first live television appearance lip-synching the song "Break on Through", aired on Shebang, KTLA-TV Channel 5, Los Angeles. 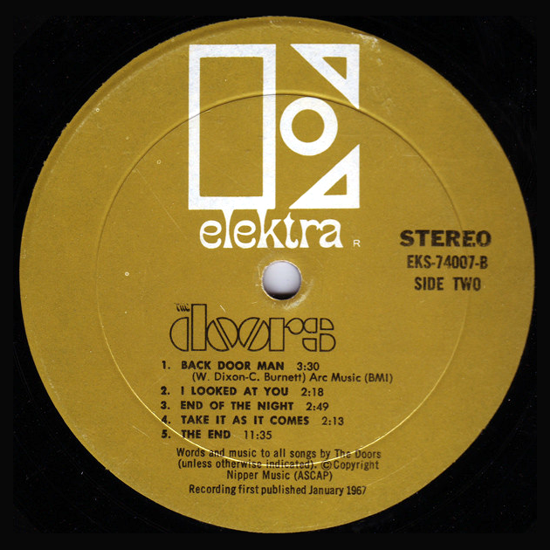 On January 4, The Doors' self-titled first album was released. A billboard with the album cover was put up at 8171 Sunset Blvd. 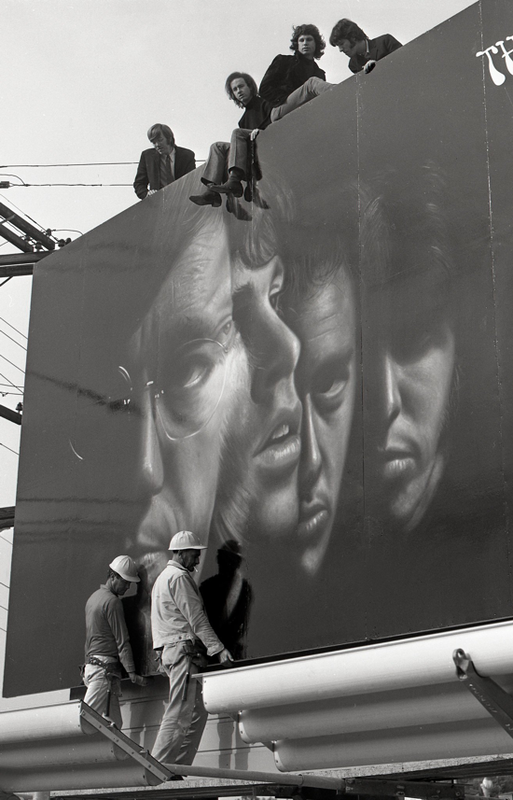 : it was the first billboard on the Sunset Strip to advertise a rock band. Quote (Jim Morrison): «We didn't start out with such big ideas. We thought we were going to be just another pop group, but then something happened when we recorded "The End". We saw that what we were doing was more important than just a hit song. We were writing serious music and performing it in a very dramatic way. The End is like going to see a movie when you already know the plot. It's a timeless piece of material... It was then that we realized we were different from other groups. We were playing music that would last for years, not weeks». The Doors at "Whisky a Go Go" club (1966). 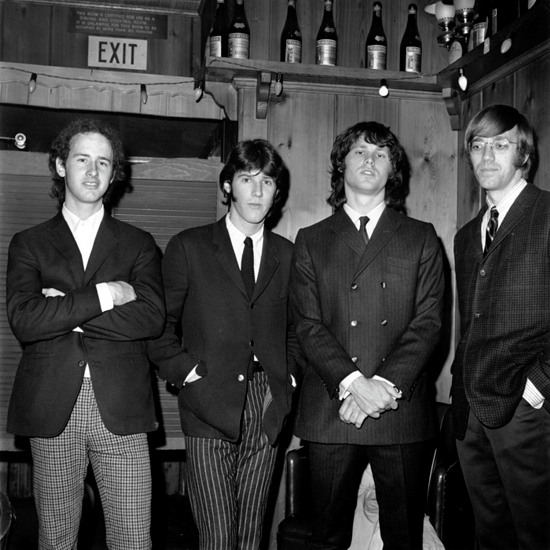 From left: Robby Krieger (Los Angeles, Jan. 8, 1946), John Densmore (Los Angeles, Dec. 1, 1944), Jim Morrison (Melbourne, Dec. 8, 1943 - Paris, July 3, 1971) and Ray Manzarek (Chicago, Feb. 12, 1939 - Rosenheim, May 20, 2013).